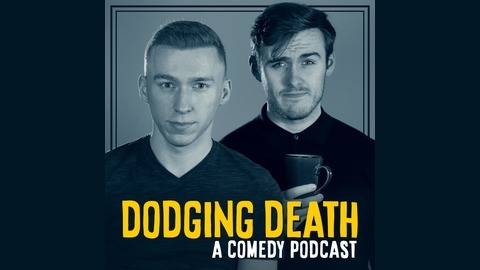 In this episode: Stephen and Ryan discuss the naïveté of car burglars; Stephen talks about the time he hired an ‘energy expert’ to get rid of his fear of spiders; Ryan tells him about meeting a man called Damien and how he thought the name would have died off with the Omen; and they regale the disastrous time they had at the Secret Cinema ‘Blade Runner’ experience! Ryan also uses this weeks feature as an opportunity to try and get Stephen to apologise for abandoning him, cold, wet and stranded with a stranger called Sonya. 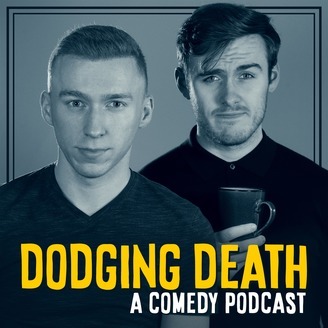 Follow us on Instagram: @dodgingdeathpodcast Follow Stephen on Instagram: @stephenwilliams.jr Stephen's website: www.stephenwilliamsjr.com About the show: Dodging Death is a weekly comedy podcast, hosted by Stephen Williams Jr and Ryan Paton. Join them for an hour of generally uninformed, irrelevant chat - where they discuss topics such as celebrity builder Nick Knowles, the daily threat of gout and bus driver rivalry. Despite its name, the podcast will offer little in the way of information towards how you can, in fact, avoid an untimely demise. If anything, it’ll only make your fear of it worse. Enjoy.